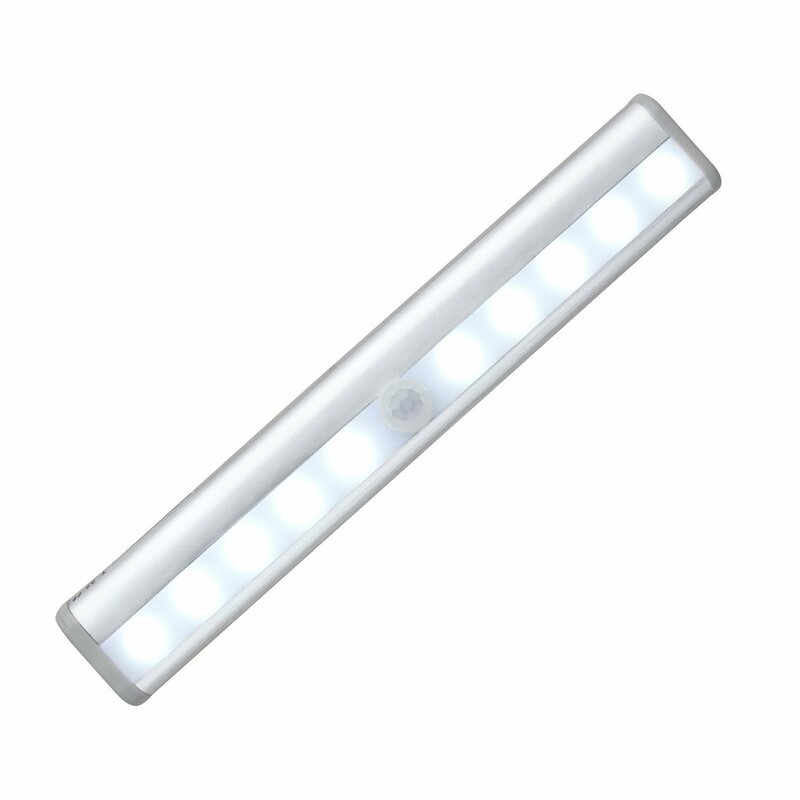 Home › Energy-Efficient LED Lighting › Oxyled T-02 Stick-On Anywhere Portable 10 Led Wireless Motion Sensing Light B..
Oxyled T-02 Stick-On Anywhere Portable 10 Led Wireless Motion Sensing Light B..
OxyLED - Natural Life, Natural Lights Using passive infrared (PIR) technologyto sense human motion (within 3m) by accepting the body's radiant heat, OxyLEDWireless Motion Sensor Light turns on or off based on occupancy and ambientlight level. It is designed to substitute a standard light switch and willthus provide a great deal of convenience plus much fun.It is ideal for thebedroom, baby room, closet, closets, cabinet, corridor, workshop, basement,garage, stairwell, oil depots, roof, door, garage entrances and other places.Specifications: - Sensitivity > 3 meter Distance - Sensor Range: 120 degrees -LED Qty: 10 LED - Light color: Pure White - LED life: 50,000 hours or more -Size: 7.5 x 1.2 in (L x W) - Material: Aluminum + ABS - Light weight: 114g /4.0oz Package Content: - 1 x 10 LED IR Sensor Closet light - 1 x User Manual -1 Year Replacement Warranty, 30 Days Money Back Guarantee Seller Warranty: -30-Day Money Back Guarantee - 12 Month Replacement Warranty - LifetimeSupport Guarantee Note: - OxyLED T-02 Night Light won't light up during daytime when it is bright enough. - Don't put 2 OxyLED T-02 motion activated LEDnight lights too close. The light of one night light may cause the other notlight up if they are too close.